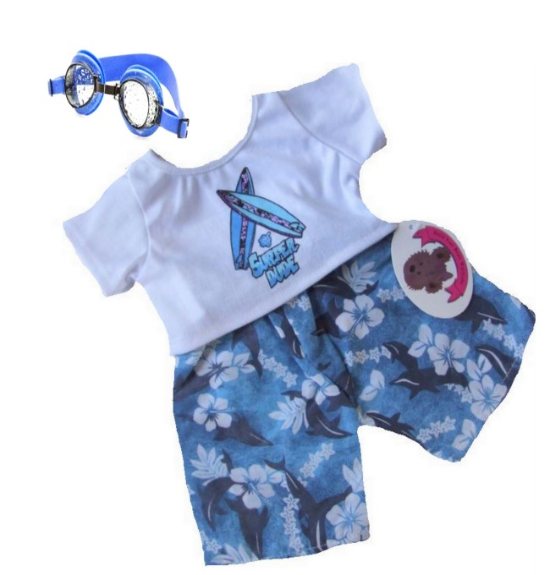 Teddy Bear Clothes fit Build a Bear Teddy Clothing, compatible fit for 15-16 inch bears. Blue Hibiscus Trouser. Fold the hem over x 1, instant Shorts!